1. Desulphation The Desulphation stage may break down sulphation that occurs in batteries that have been left flat for extended periods of time, returning them back to full charge. sulphation occurs when lead-sulphate hardens and clogs up the battery cells. 2. Soft Start A preliminary charge processes that gently introduces power to the battery. This protects the battery and increases battery life. 3. Bulk (Constant Current) Bulk mode charges the battery at the maximum rate (constant current) putting a large amount of power into the battery in a short amount of time. 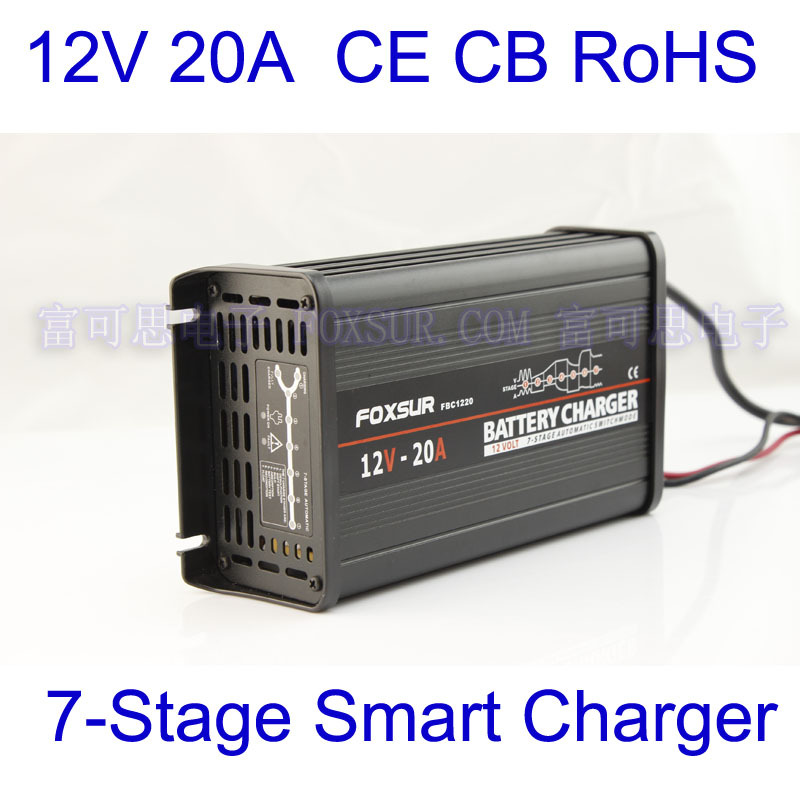 This stage will charge the battery to approximately 80%, until the voltage reaches 14.4 volts for 12V charger 4. Absorption (Constant Voltage) The charge rate slows down so the battery can absorb more power and reach 100% charge. 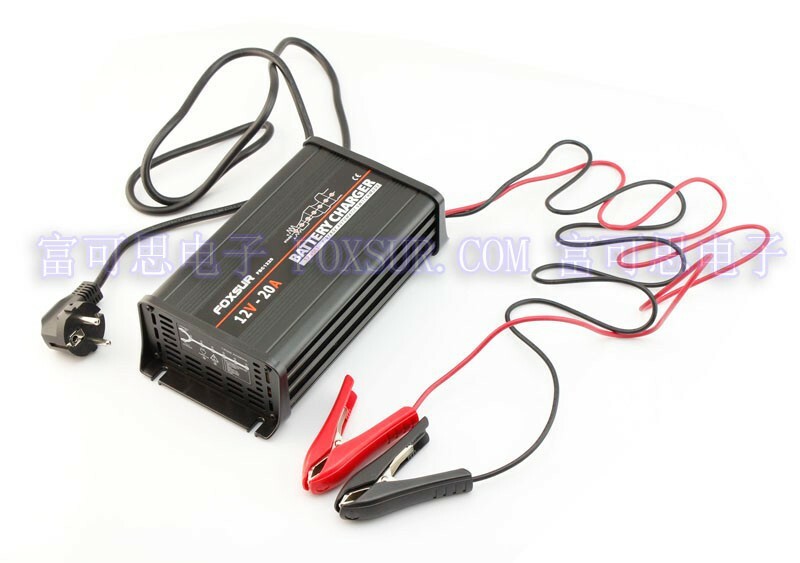 The voltage remains at a constant 14.4 volts for 12V charger while the current is gradually reduced until no more power can be added without over-charging the battery. 5. Battery Test An automatic battery test is conducted immediately after the absorption stage. The test monitors the voltage for 90 seconds to determine if the charge was successful. 6. Recondition The battery reconditioning function is initiated automatically in the case that the battery fails the battery test (stage 5). Failing the battery test indicates that the absorption stage was unable to fully charge the battery. The recondition mode will then begin to introduce a low constant current for a period of 4 hours. Then the charger will go into float charging mode. 7. Float The Float stage maintains the battery at 100% charge without overcharging or damaging the battery. This means the charger can be left connected to the battery indefinitely. • Cooling fan: Automatic temperature controlled. Correct connect for the battery, and charger works well. AC cable length: 1.1m, DC cable length: 1.2m, Hi-Quality alligator clip. good goods. the accumulators зарядил 4-летний to 100%. неполучалось зарябными other devices to 100% fully charge. excellent power, лёгенький small, is qualitative, performs its functions. hope прослужит long. Product as descripted. Works very well. I use it for my 235 Ah batteries. Good quality and fast delivery. I can recommend this store. seams that it is good quality. the package was well protected and that was good because the swedish post (postnord) don't respect other people's belongings. big hole, if you can as on the picture. 99% postnord certain that it is. Good: 1. Sturdy, reliable packing (otherwise the goods would arrive damaged for sure). 2. The device has a compact metal case, easy to carry around if needed. 3. Fully automatic. 4. Maximum charging current is 20A. 5. Looks nice. 6. Seller promptly replies to questions. Not good: 1. Very important: No possibility to adjust charging current. You can't buy a powerful device and use it to charge small batteries. It is very wrong, because nobody wants to buy 3 separate devices to charge motorcycle, small car, and truck batteries. Normally you just buy the most powerful device with adjustable output and use it for all batteries. It is recommended to charge the batteries with currents around 0.1 of capacity (can be 0.2 or so). 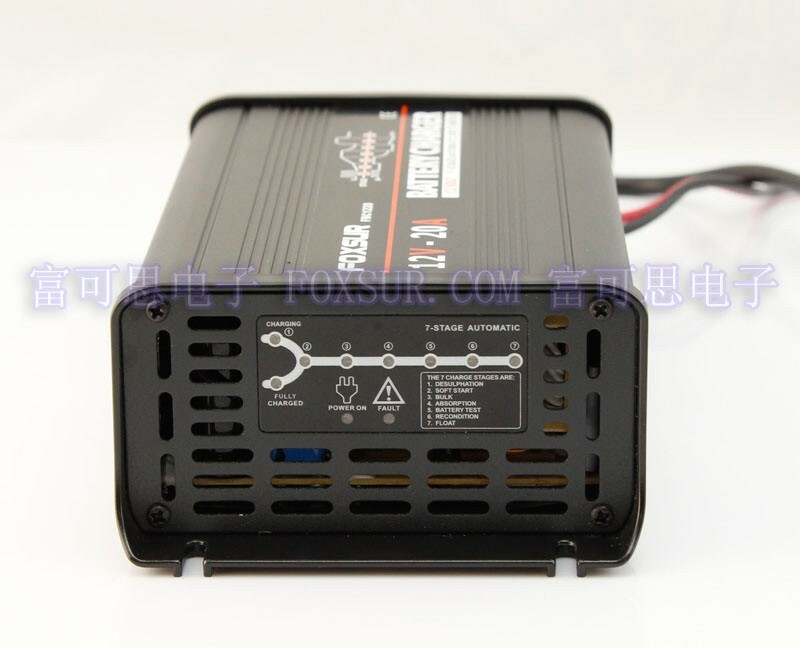 This device provides 20A of current during the “Bulk” stage, so you can somewhat safely charge 100Ah batteries and higher, not 60Ah or God forbid 45Ah, and don't even think about motorcycle and UPS batteries. 2. No possibility to manually select “Desulfation”. excellent charging. on gel разряженный fully 230а/зарядил in about 22 hours. super!!! it is very fast! works amazing!!! The goods had been received in good working condition it has been tested and is okay. Ultra Fast Shipping,Very Cool Product, Hi Recomment. ThankYou. looks perfect appearance, well assembled пробывал but not more in. shipment was very fast, i am enjoying it.